There’s nothing like a room with a view and when it comes to Costa Rica ocean view real estate, your options are bountiful. It’s amazing how a gorgeous vista can change the ambiance and character of a property lot, a home, or a condo not to mention the price. Everywhere you go, you’ll find that homes, hotel rooms, condos, business offices—all ocean view real estate comes with a price tag to match. 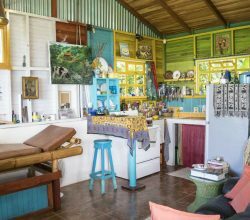 Things are no different here, where prime Costa Rica ocean view real estate and beachfront properties are being scooped up each year by eager buyers looking for a piece of paradise with a view. Fortunately, living in such a beautiful tropical country, almost every place you could purchase will have something lovely to look at through those big glass windows. Still, one kind of property view continues to rein supreme: Costa Rica ocean view homes or condos. 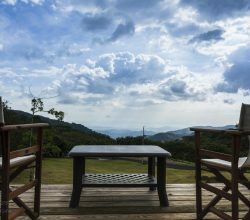 Because of the lay of the land in Costa Rica (rocky, hilly, and mountainous) and the fact that some areas of the country are grievously underdeveloped, finding the perfect ocean view property can be more of a challenge than you’d think. While beachfront property is great if you’re actually right on the beachfront, most beachfront or “beach-near” properties lack those sprawling, endless views of rainforest and ocean that a proper oceanview property can provide. 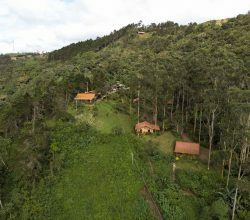 Of course, in order to get those views of the horizon, the house must be situated high on a hillside, where the roads will be difficult and the area may lack infrastructure. 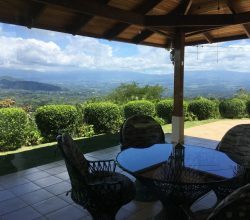 As a result, current Costa Rica property listings of good ocean view property are more expensive but much much more valuable as an investment. Costa Rica ocean view property is indeed more expensive, but you definitely get what you pay for. 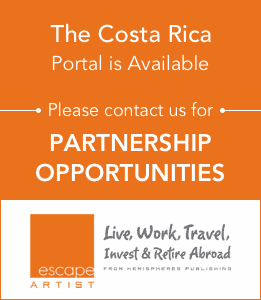 Some considerations when investing, Costa Rica ocean view and beachfront properties are usually the first property to be rented, if you plan on generating rental revenue and Costa Rica ocean view real estate is the first to be resold when a owner decides to sell. 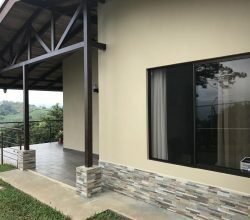 Click here to see listings of Costa Rica real estate or you can call 866-403-1345 for more information about Costa Rica ocean view real estate for sale and one of our experts will assist you.